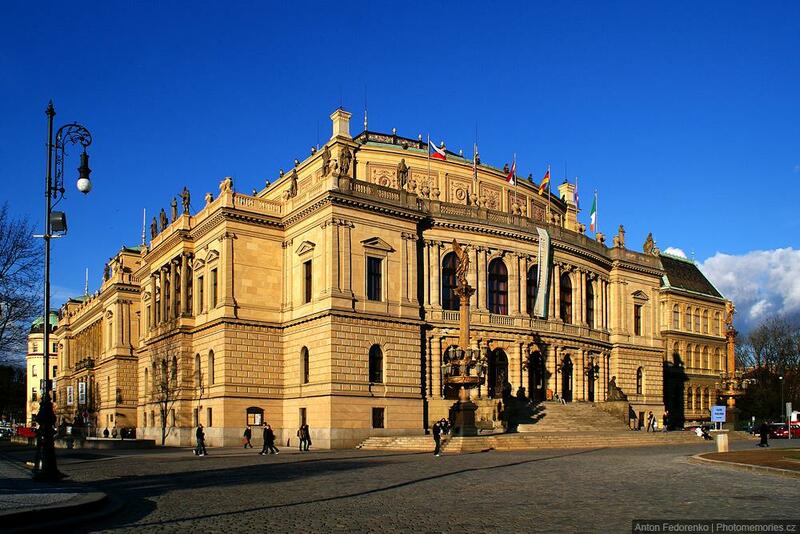 Rudolfinum is a magnificent neo-Renaissance structure which was built in the nineteenth century as a House of Artists. Nowadays it is home to the Philharmonic Orchestra. The building is located on the right bank of the Vltava River in the Old Town of Prague. 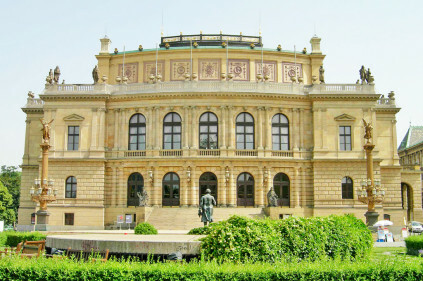 Rudolfinum was built in the years 1876-1881 as a multipurpose cultural center with a concert hall and exhibition halls at the occasion of 50th anniversary of the Czech Savings Bank. It was named after the successor to the Habsburg throne, Archduke Rudolph. The construction was entrusted to the architects Josef Zitek and Josef Schulz. 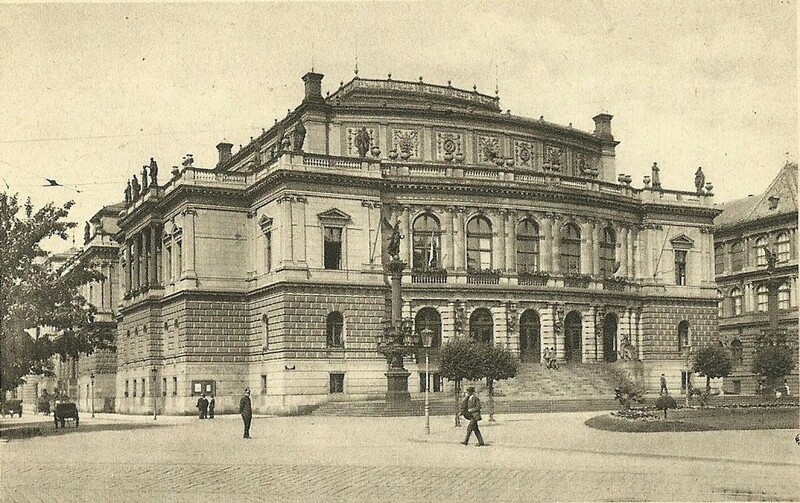 In 1884 large Dvorak Hall was established known as the highlight of nineteenth century architecture. In 1975 the organ by the firm Rieger-Kloss was built in the Hall. 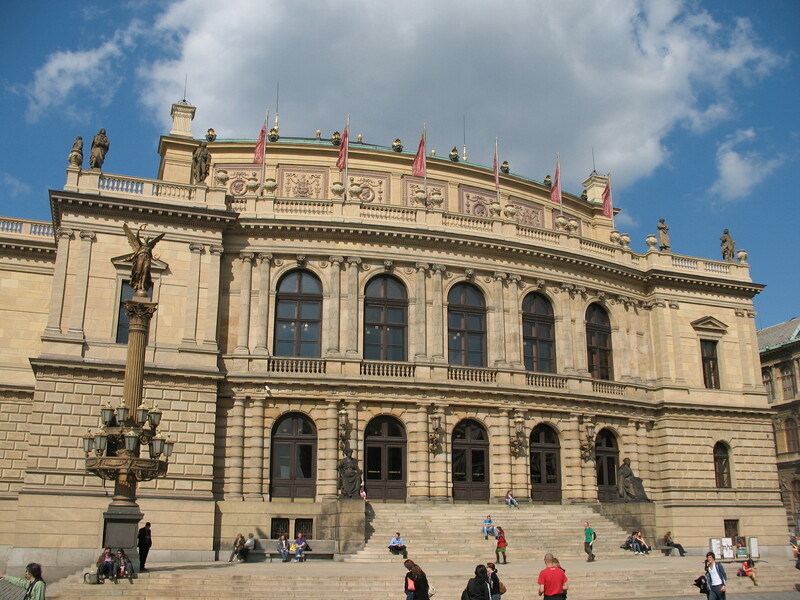 There are also smaller concert halls for chamber music in Rudolfinum. 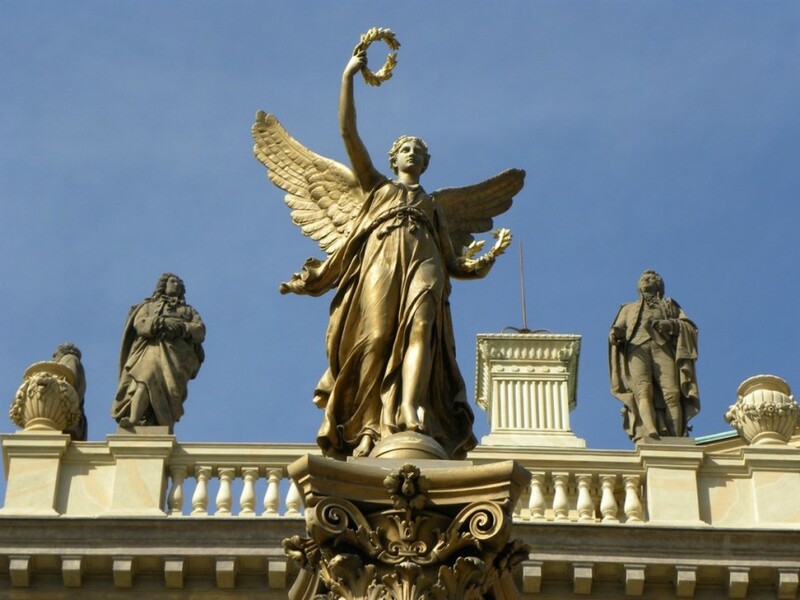 A balustrade atop the cornice is adorned with statues of composers, sculptors and artists from across Europe including Bach, Beethoven, Mendelssohn, Mozart, Bramante, Brunelleschi and Donatello. 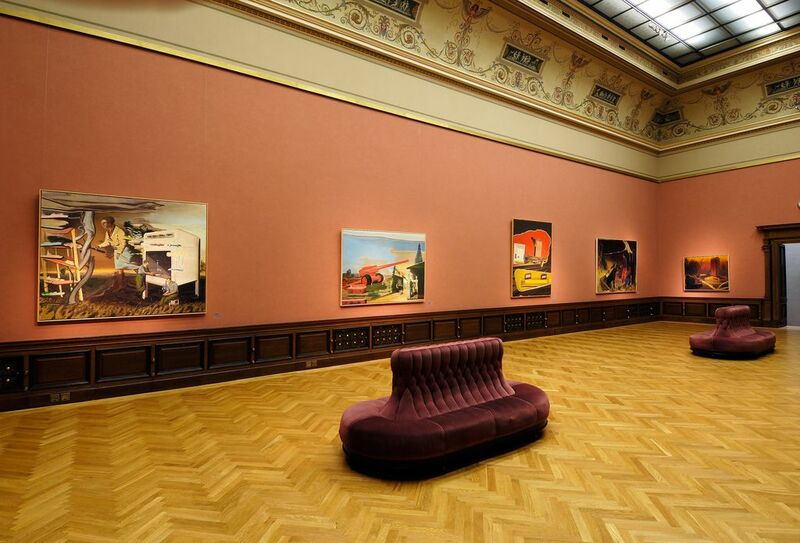 Originally the building was designed as an art gallery and artist house, hence the Rudolfinum is also known as the House of Artists. Between 1918 and 1939, during the First Czechoslovak Republic, the building was even the seat of the Czech parliament. Since 1946 it has been the home of the Czech Philharmonic Orchestra, although the building still houses a gallery with modern art. 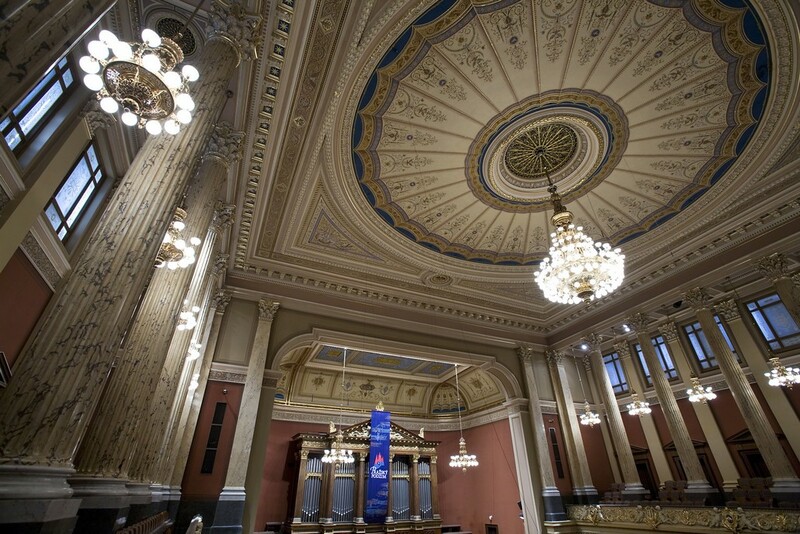 Rudolfinum was built thanks to the oldest financial institution in Prague, Bohmische Sparkasse that wanted to celebrate the 50th anniversary of its foundation. At the grand opening on the 7th April 1885 the crown prince Rudolf was present to preside over the event and the building was named in his honor. Nevertheless, after independence was declared in 1918 and especially after World War II a new name was adopted – House of Artists. Nowadays it is called Rudolfinum again. The building served 33 years and it soon became the center of Czech culture. 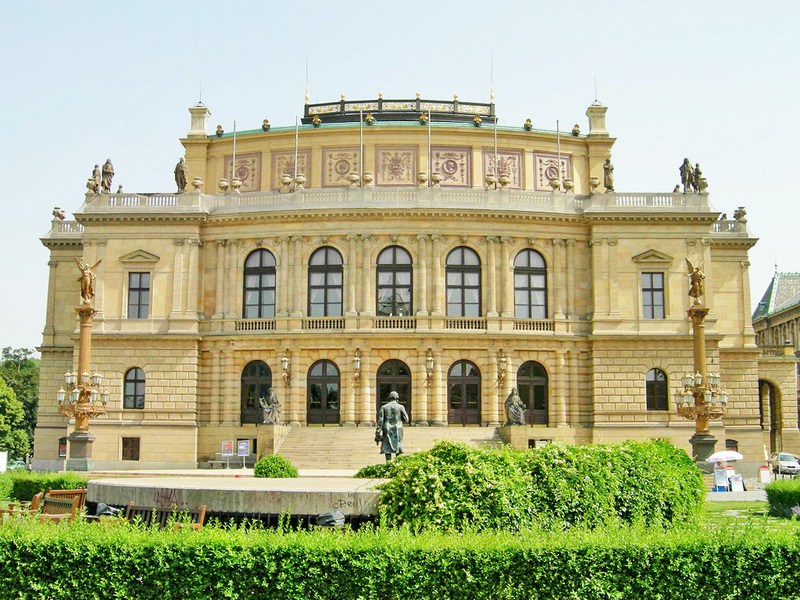 The origins of the National Gallery can be found here as well as the Czech Philharmonic Orchestra.